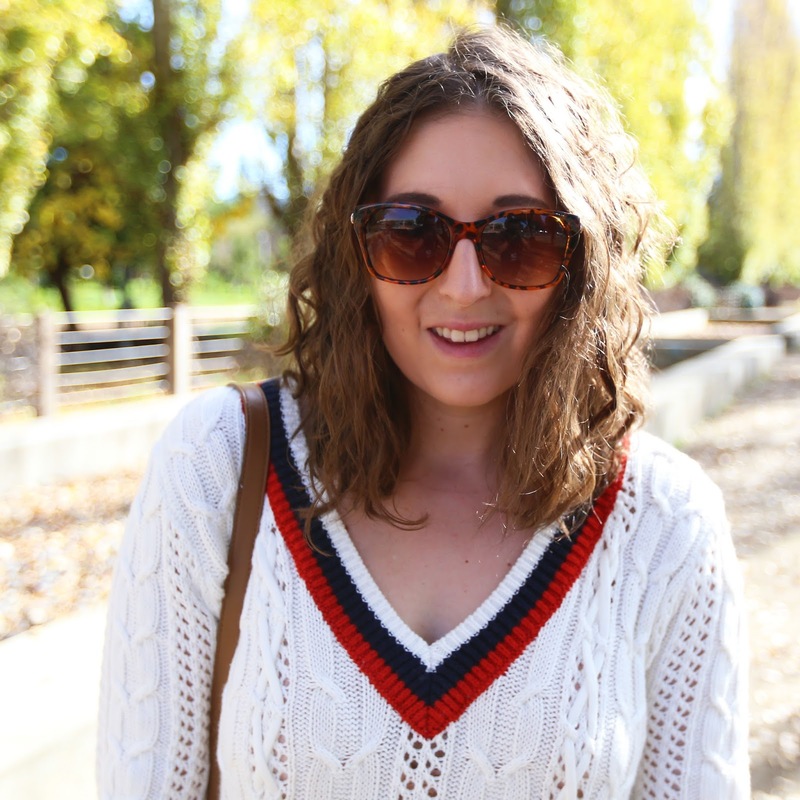 Cozy Sweater on a Sunny Day! 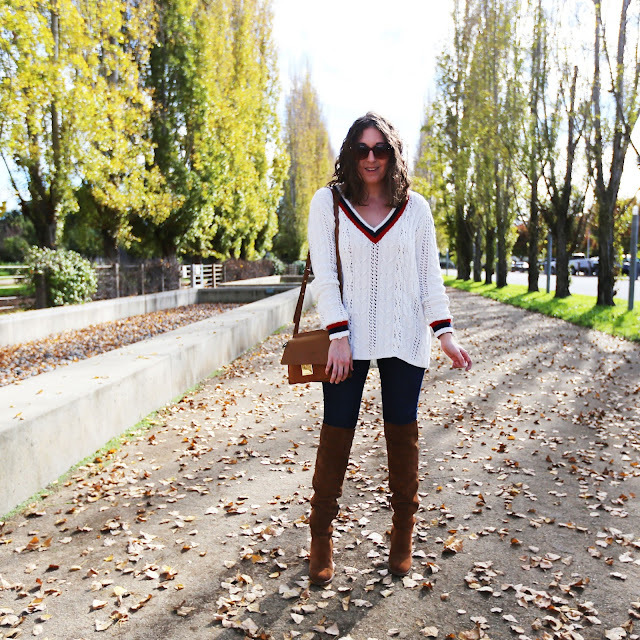 Magnolias and Sunlight: Cozy Sweater on a Sunny Day! If you saw my post last week you'll know that I did a little shopping at A&F. Who knew they had more than polos, sweatshirt and branded gear?!? 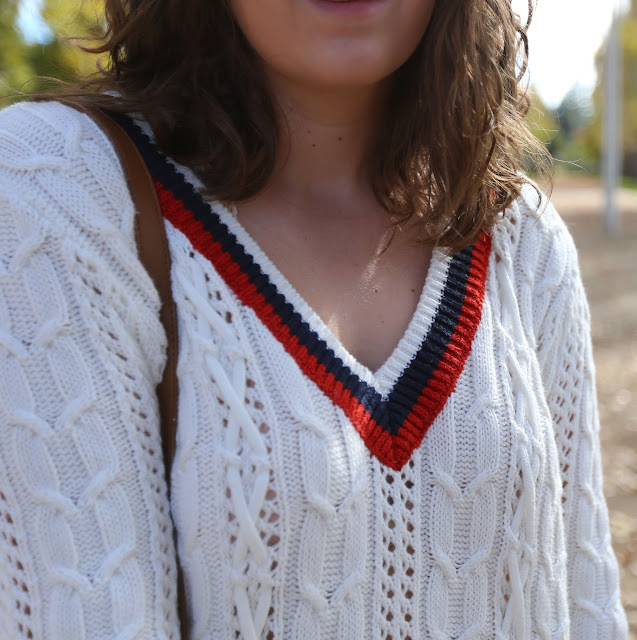 This collegiate sweater was something I immediately fell in love with and when it went on sale I grabbed one! This style was on runways everywhere at the AW16 shows. 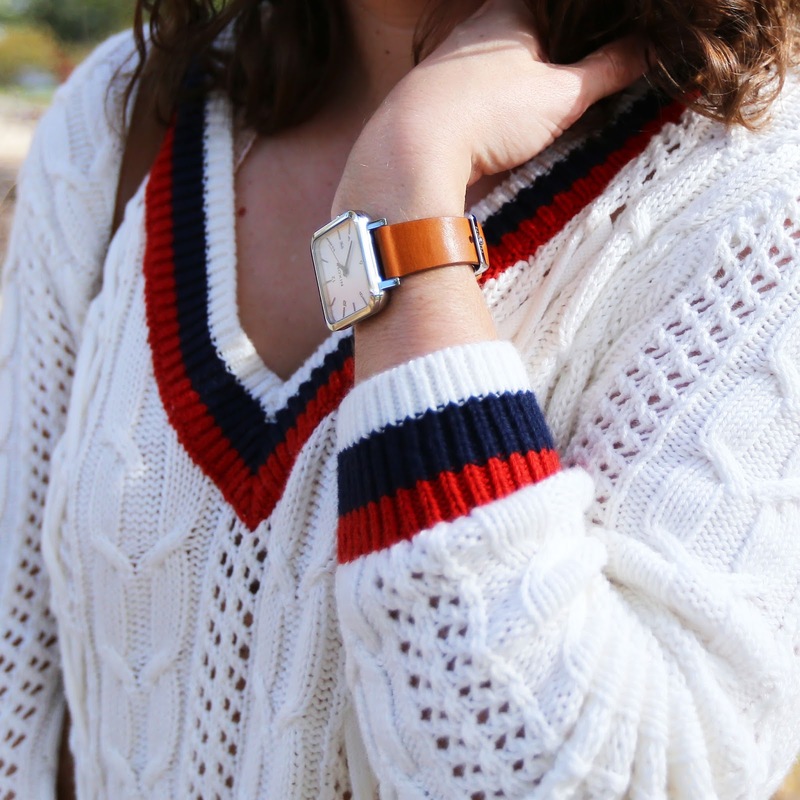 The sporty collar and cuffs is a fun way to add a preppy almost ivy league look to any outfit! I got a medium and it's perfectly slouchy. It is a really warm piece and I was not a chilly day when I wore it, but I can't wait to layer with it on a trip to Tahoe! It's such a close dupe for the Phillip Lim one linked below! These boots have been on the blog multiple times because they've easily become one of the most worn things in my closet. I absolutely love the heavy suede and stack heel that makes them really comfortable to walk in. 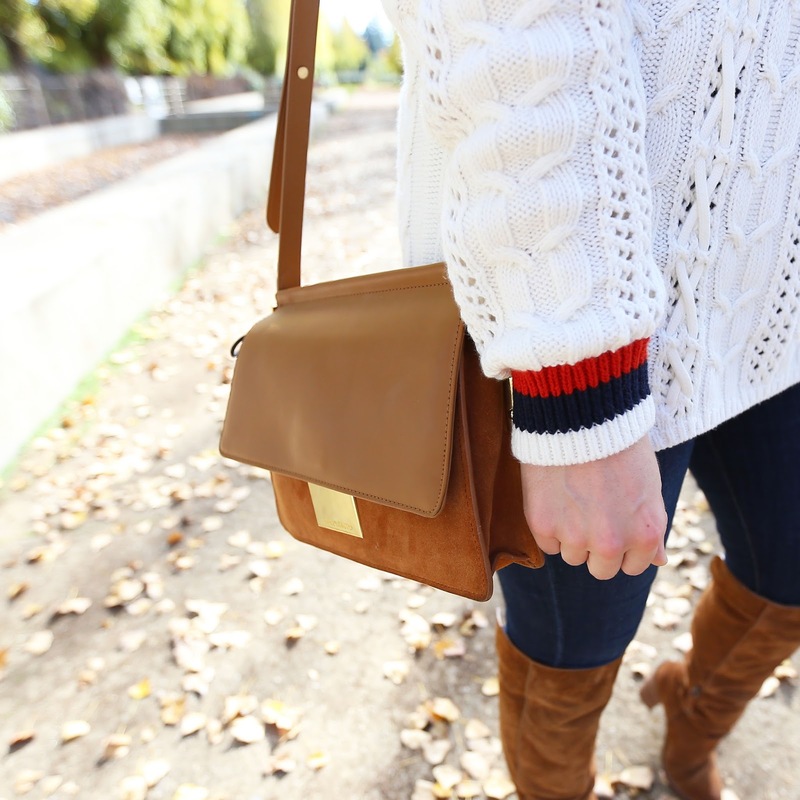 The cognac color is so versatile that I find a new way to wear them each time I get dressed. I love Stuart Weitzman Highland boots for a classic OTK pair, but this style works so much better for a casual weekend look. 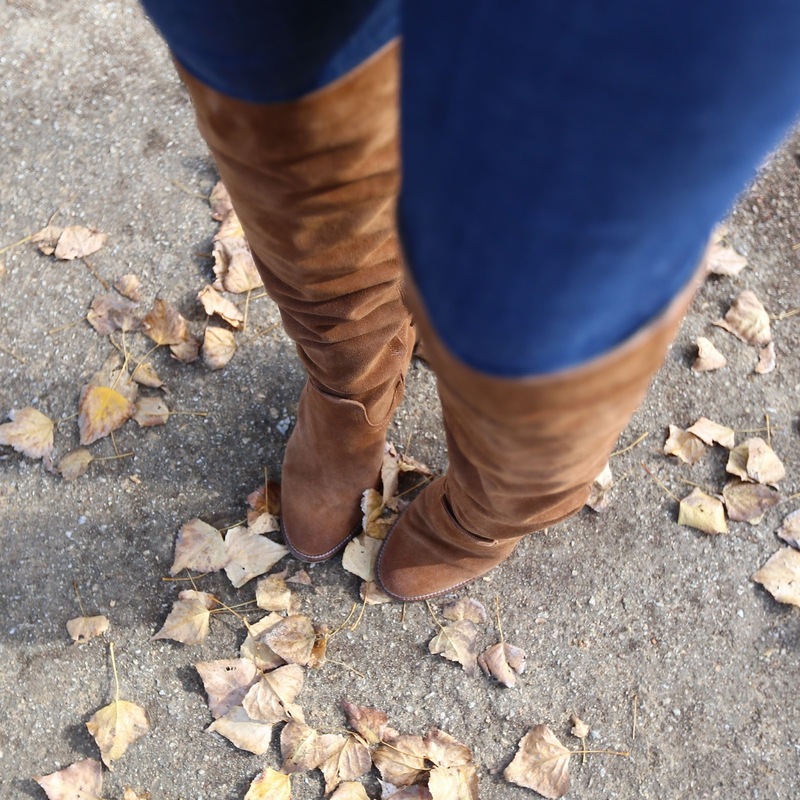 And while these are sold out the Vince Camuto ones I wore in this post are almost identical and come in this brown color, too! 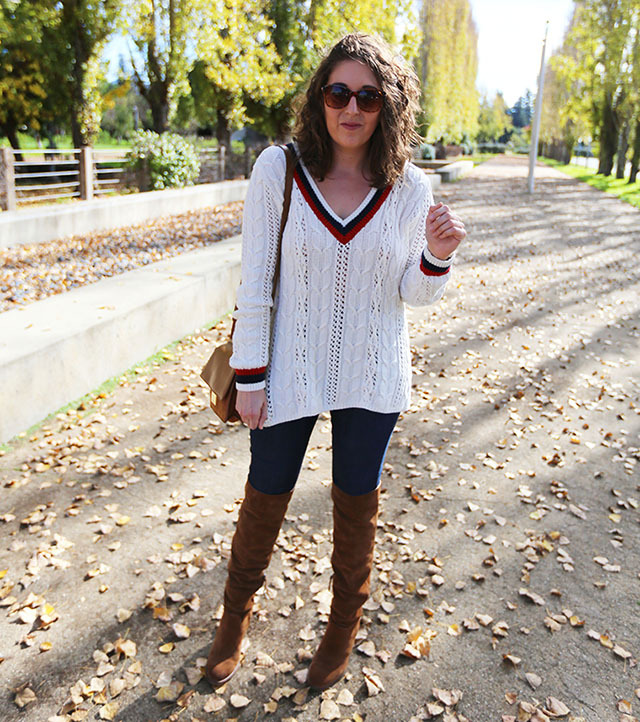 So what are some of your favorite fall trends? Any style a-la TommyXGigi is at the top of my list!